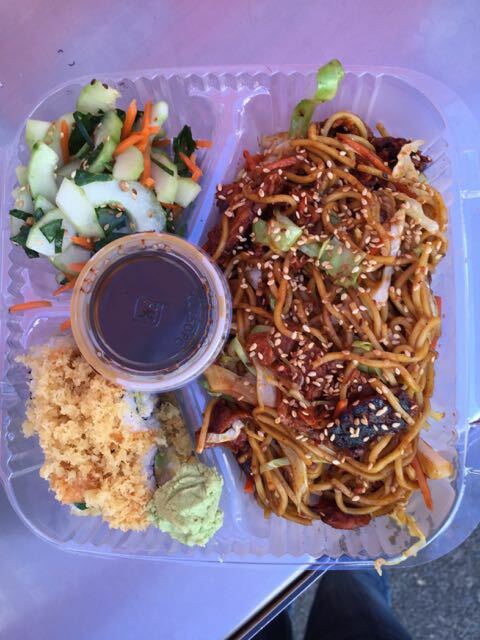 We wanted to try more than one thing we so we order a combo bowl with Yakisoba noodles and a crunch California roll with a cucumber salad. This combo was rather large. Everything was fresh and tasted great. I would go back and try more things off his menu. I would for sure get the cucumber salad again. 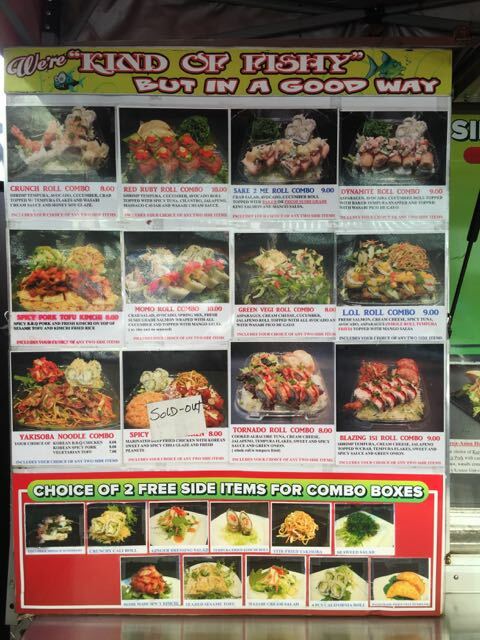 I wouldn’t pass up the crunchy roll, but I would try hard to order something different next time, even though the crunchy roll was pretty awesome. Atmosphere is the downtown pods where there is no seating unless you walk over to a nearby park. Great for people working downtown. Pricing was great at just $8 this was a large portion. Service was great. We talked with the owner and he helped us get everything we would want. Drinks included water and snapple. I’m sure there was more, but that’s what stands out in my mind. 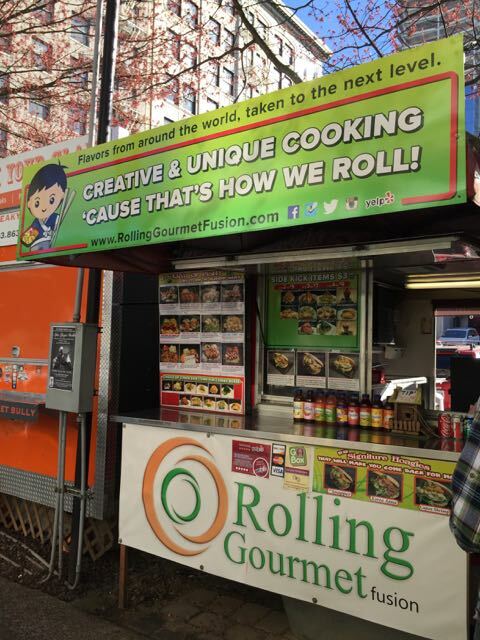 Rolling Gourmet Fusion is located in Downtown Portland. You should really try Via Delizia in the Pearl. The eggs benedicts at breakfast are awesome, they have one served on an empanada instead of English muffins and another served on spanakopita. Also, the coffee drinks are out of this world! You had me at Eggs Benedicts. Adding it to my list. Been here. The spicy roll is amazing and I agree with the cucumber salad! Fantastic!